The good news is Kiama Council has received a grant to develop a comprehensive Coastal Management Plan. The bad news, for those hoping for clear direction over the best way to vegetate coastal dunes, is that the plan will take three years to develop. Further funding will then be needed to implement its recommendations, adding to the timeframe. The question is where will that leave the tensions that exist between those who have varying strongly-held views on how the foreshore should be managed in the interim, particularly at Jones Beach? These tensions have led to accusations of poisoning, which investigation have proved to be unfounded. “We need information to base our decisions on, so detailed studies and investigations of our coastal hazards and risks need to be undertaken in full before a strategy can emerge,” says Environment & Sustainability Officer, Byron Robinson. Rather than be limited to Jones and Werri beaches, as first mooted when concerns were raised about erosion there, the Plan will now take a holistic look at all of the LGA’s coastline from Minnamurra to Gerroa. “The Office of Environment & Heritage advised that, given the new coastal management legislation that is coming in, there would be efficiencies in running with the whole of the coast, as it has to be done anyway,” says Council’s Director Engineering & Works, Gino Belsito. Council is to receive a three year grant of $35,000 per year, which it will match dollar for dollar, to undertake the study. Back in January 2017, The Bugle reported that a group of concerned residents, supported by Councillor Mark Way, had formed Beach Care in response to uncontrolled vegetation impacting negatively on the area. This lobby group appears to have disbanded, with a Landcare group stepping up to do much to rid the dunes of lantana and rubbish. The section of dead vegetation. However, a large section of dead vegetation in the centre of the beach has continued to fuel the debate, and prompt accusations of poisoning to improve views. “I’m aware people are copping abuse [for being suspected as poisoners], which isn’t fair. No-one should take matters into their own hands. The Jones Beach Landcare group have received up to $3000 in funding from Council to replant the area, using plants recommended in an earlier, unimplemented Plan of Management for the beach. The plants chosen so far are grasses, rather than beginning to establish larger trees that may not be recommended by the new Coastal Management Plan. “While the time frame is longer than expected, I think it is prudent to wait for guidance from the research,” says Jones’ Beach Landcare convenor Mark Hume. Councillors decided that large dead trunks will remain there as habitat and to regenerate the ground. John Hansen, who helps with the Landcare work and lives in a property overlooking the dead area, says that Council could do more. 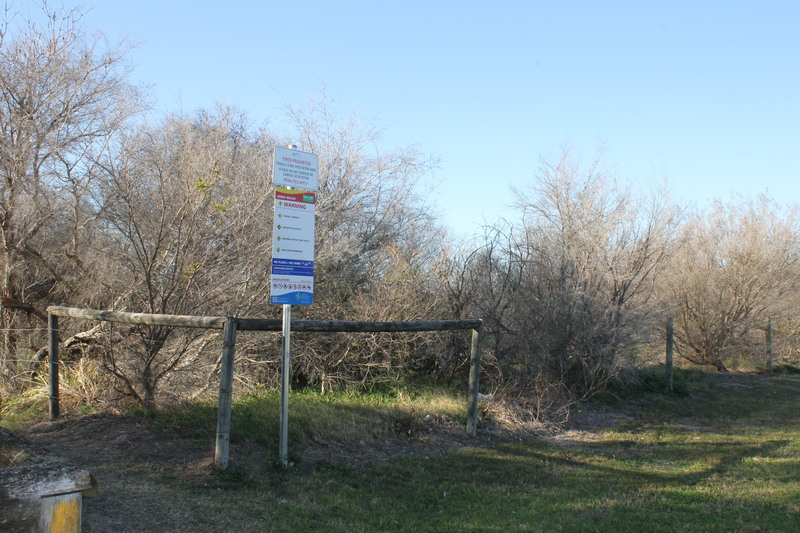 He is particularly concerned about the anti-social behaviour in the dunes, and the failure of Council to dispose of mounds of lantana Landcare has removed. “Council tells us one thing to appease us and then does another,” he says. Conservation groups believe some larger trees are needed at the back to protect the dunes from serious weather events.